Summer may not be the final frontier, but space sure is, and if Star Trek Online has its way, you'll be able to get all "these are the voyages" up in the 23rd century soon. Cryptic Studios have announced that Agents of Yesterday, the new free content expansion for the game, will go live to the public on July 6th. 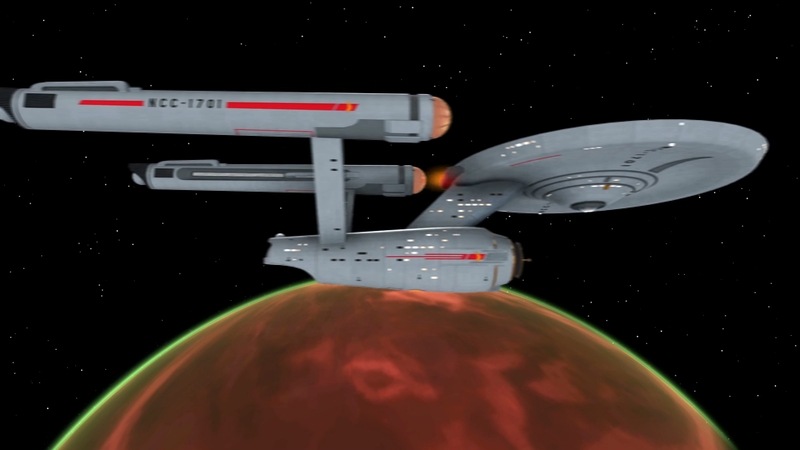 The expansion gives players the opportunity to start characters in the timeline of the original Star Trek series (i.e. Captain Kirk's era) to command period-appropriate starships, have nostalgic fan-service adventures, and engage in time-travel shenanigans. Meanwhile, to take the sting out of the wait, the game has also kicked off its yearly summer event, nicknamed Risa Rising. 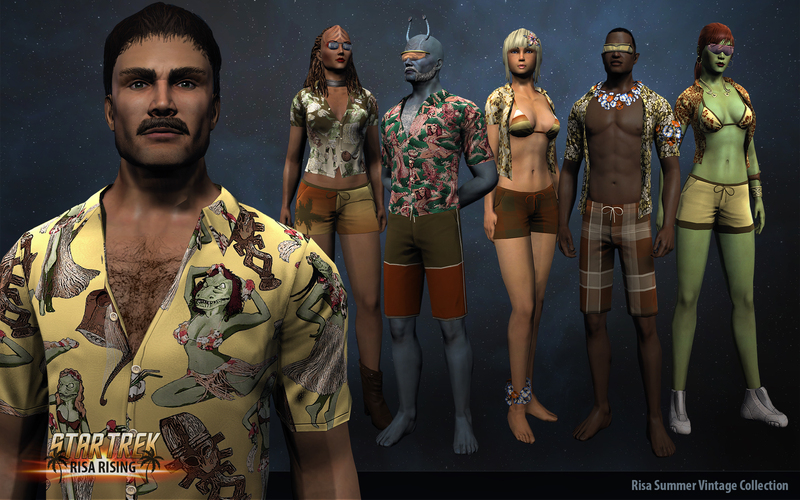 Players can journey to the beach resort planet of Risa and wear swimsuits (including a new aloha shirt featuring a "Hula Gorn" design), race hoverboards, and run jetpack-assisted obstacle courses for fun and prizes, including an event-exclusive playable starship. The event runs until July 21st, so it'll still be underway when the expansion launches, though you'll need to actually join by at least late June if you want to qualify for the ship. As for the upcoming console versions of the game, those are still due later in the year and will necessarily not be available in time for the summer event or the launch of Agents of Yesterday, but Cryptic has been posting dev blogs about the changes being made to the game's UI to accommodate gamepad-based controls. They're an interesting read, especially since the PC version features such an abundance of abilities that for a while the most efficient way to play was to bind almost every control to the spacebar and hammer that until everyone died.